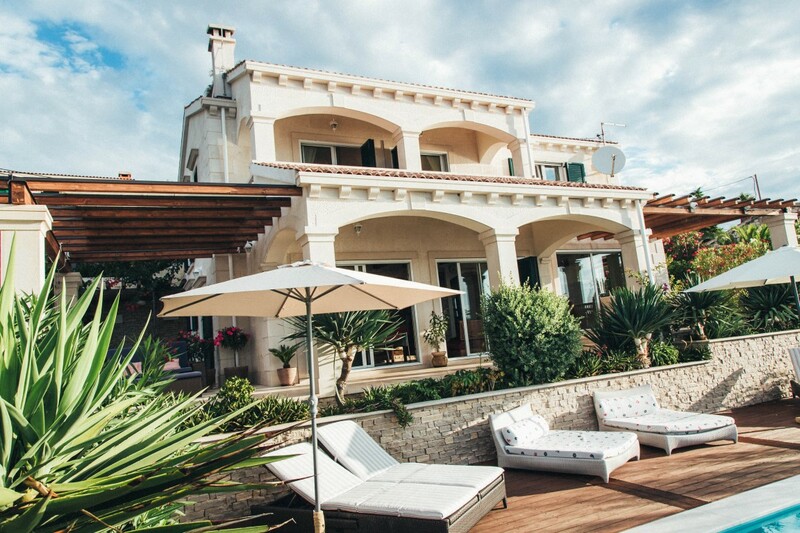 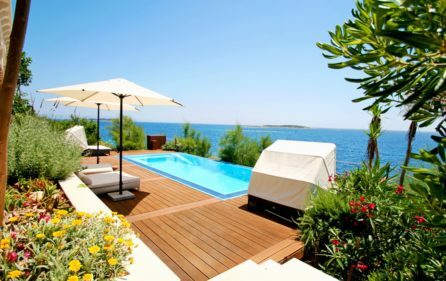 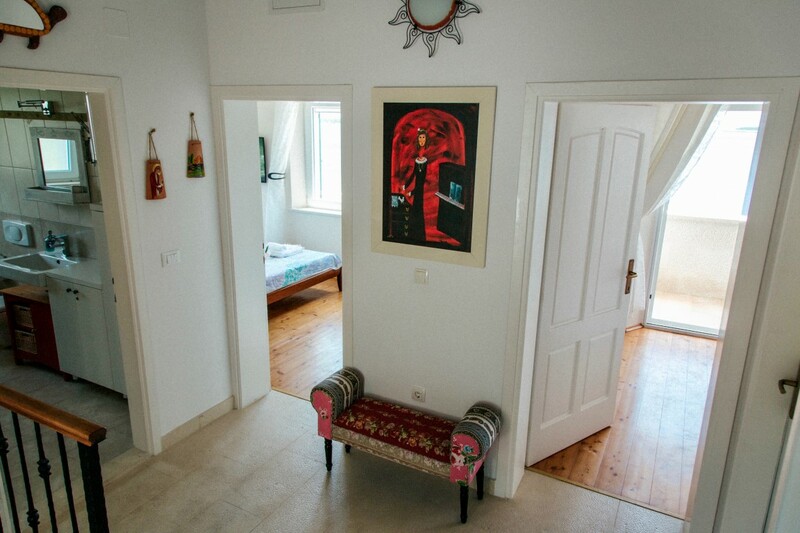 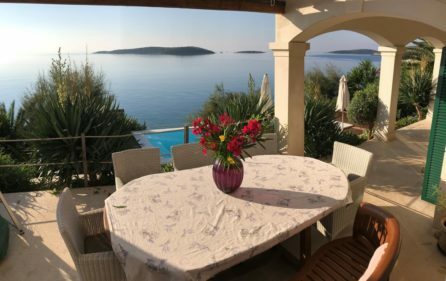 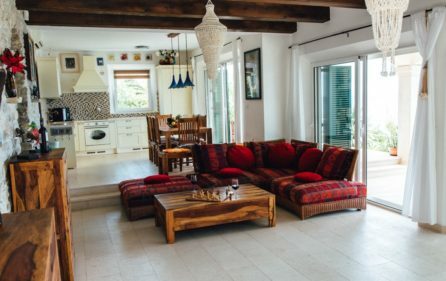 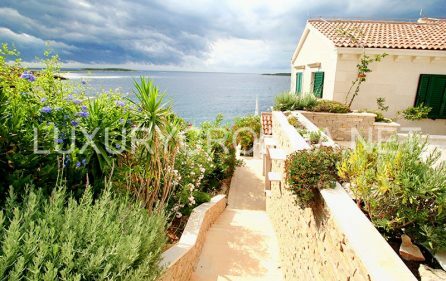 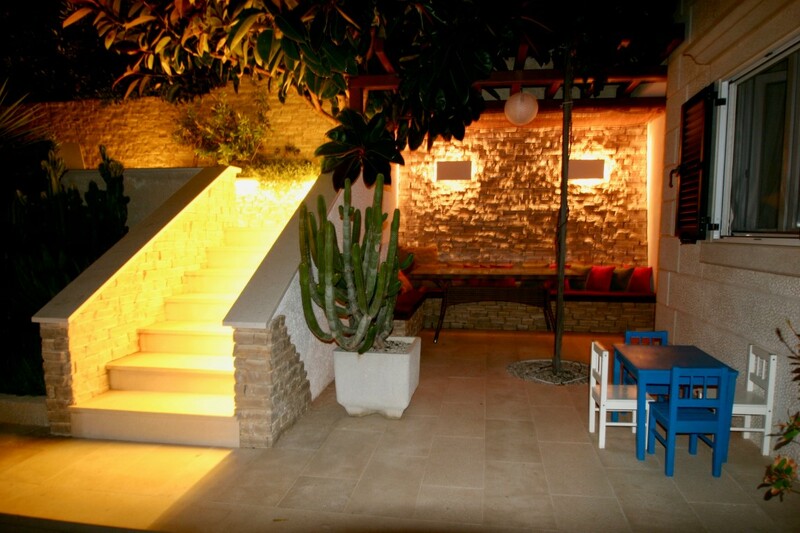 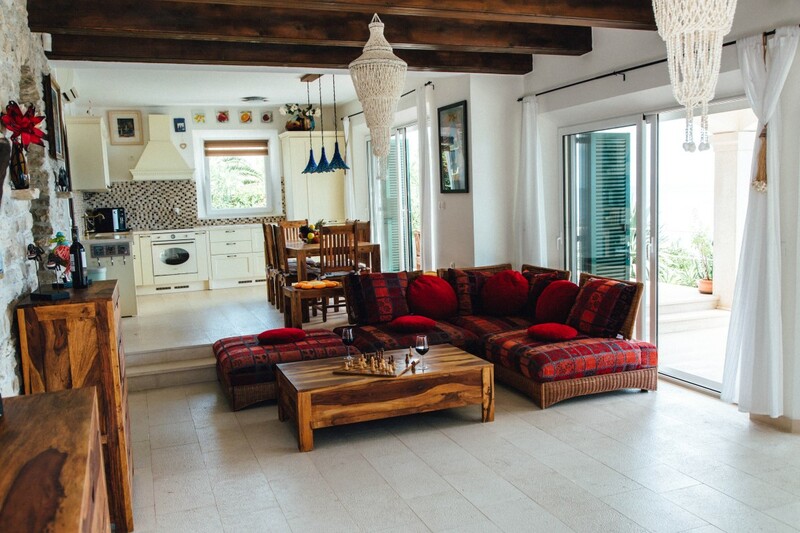 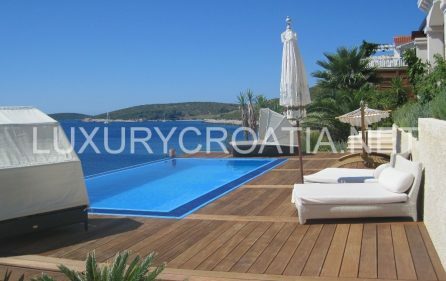 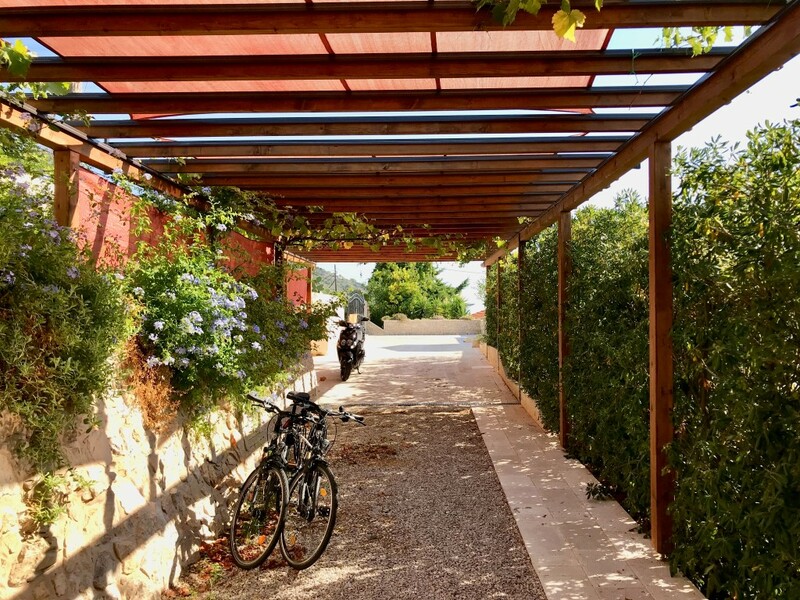 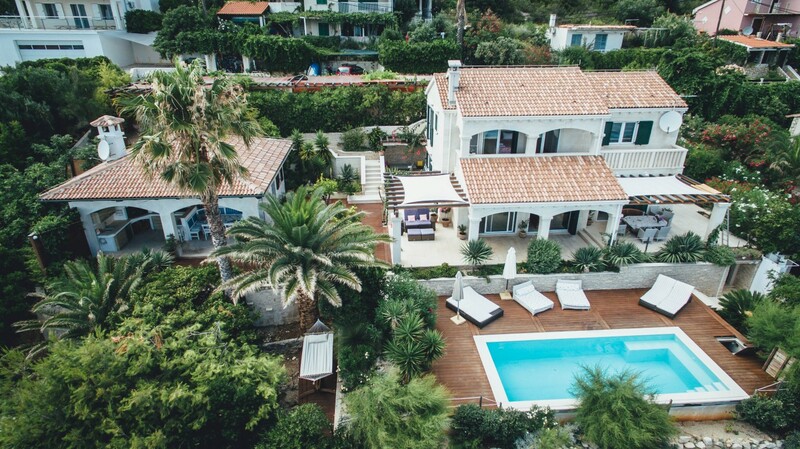 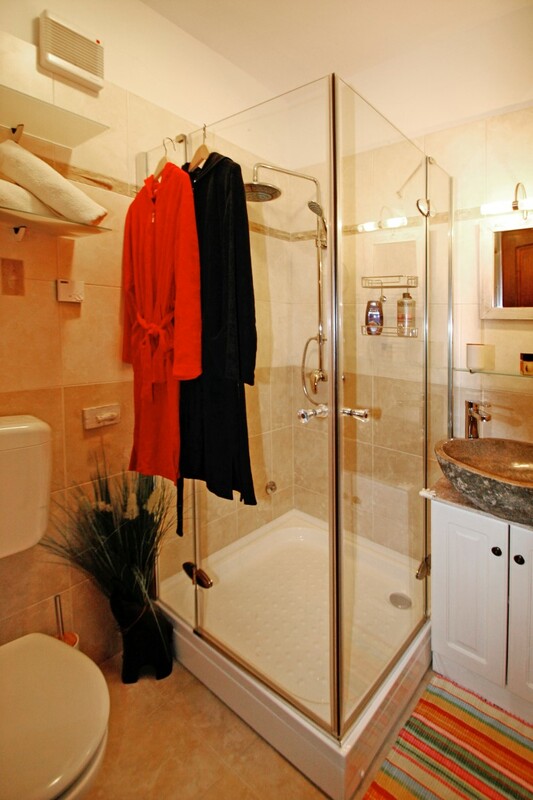 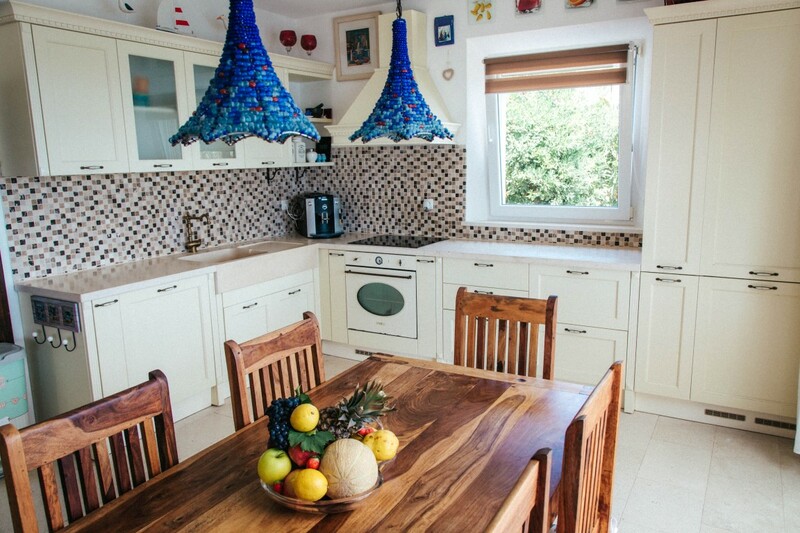 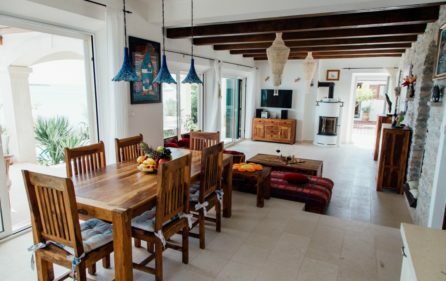 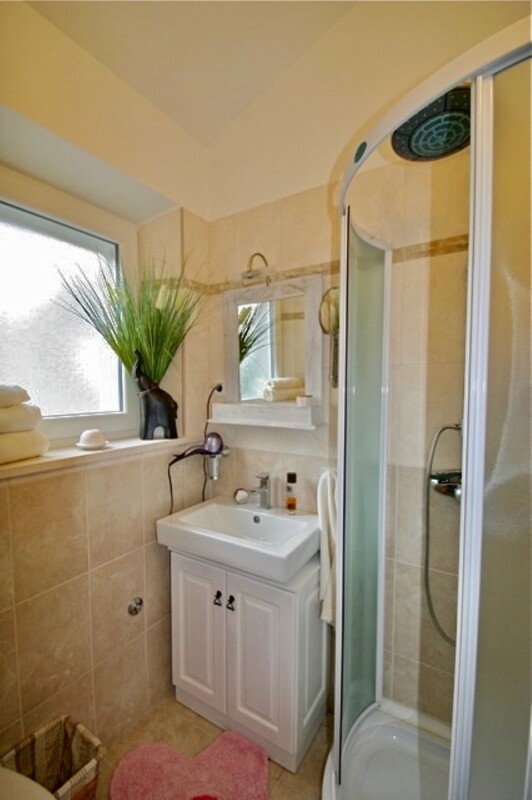 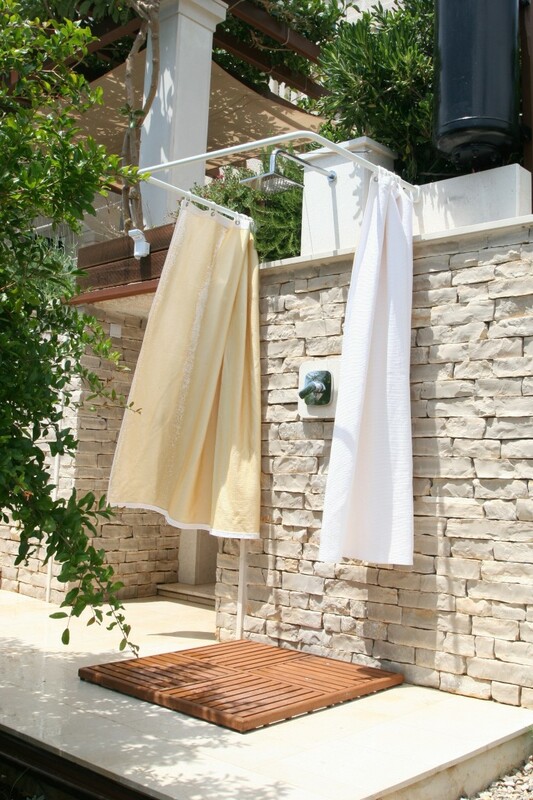 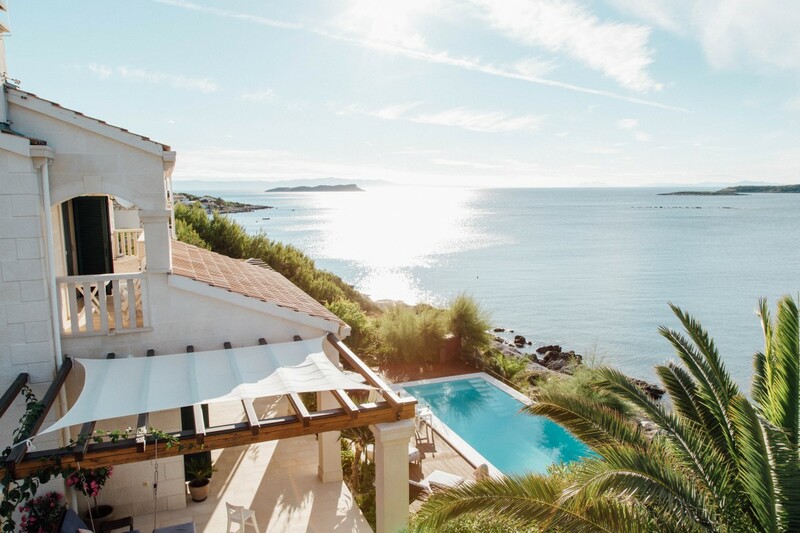 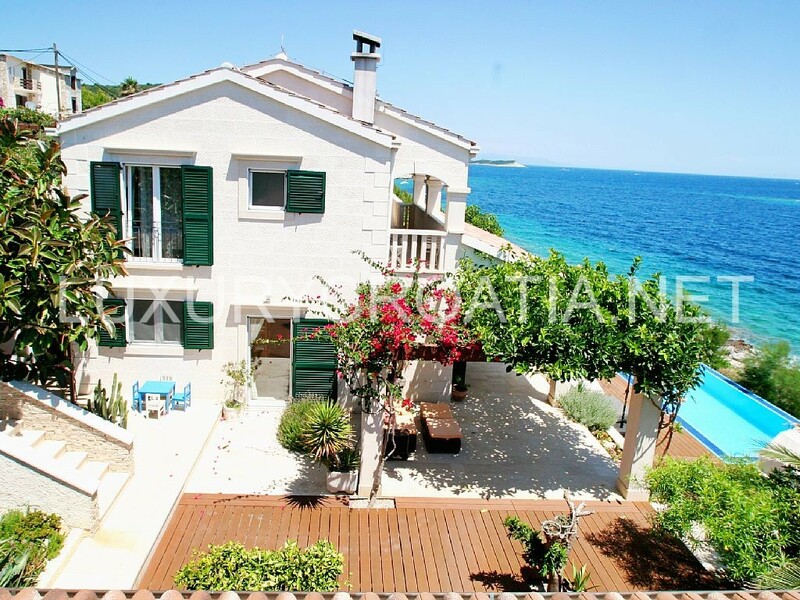 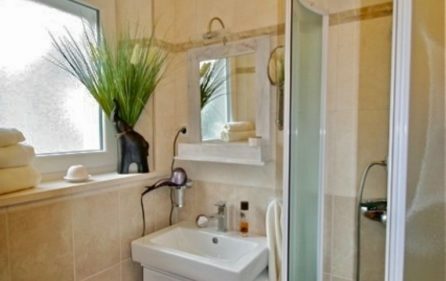 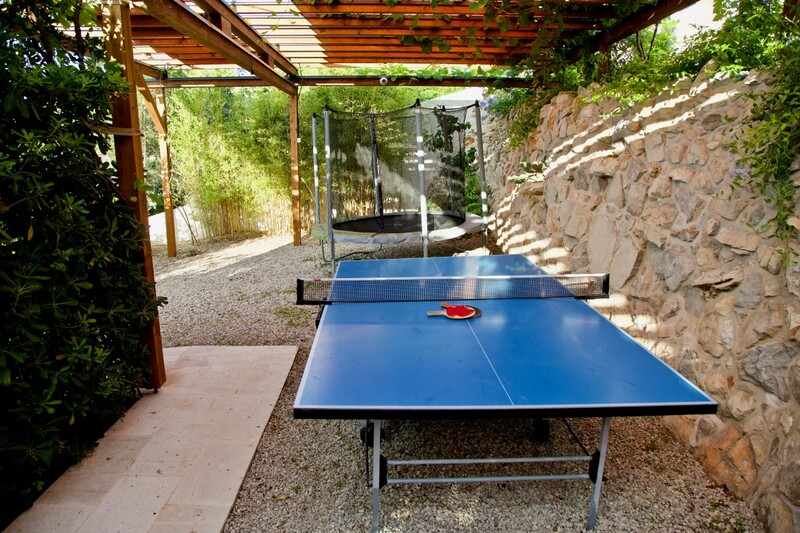 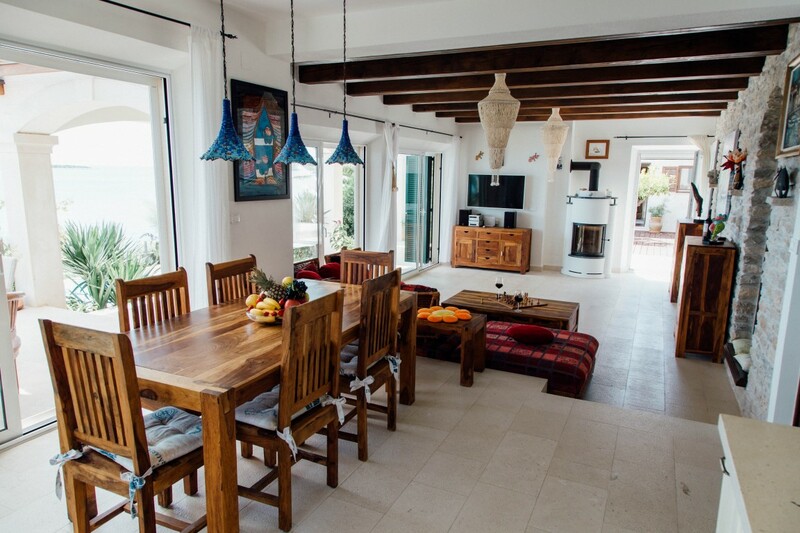 Waterfront beautiful villa for rent, Vis island is located on the south side of the most naturally and unexplored jewels in the Mediterranean – Island Vis. 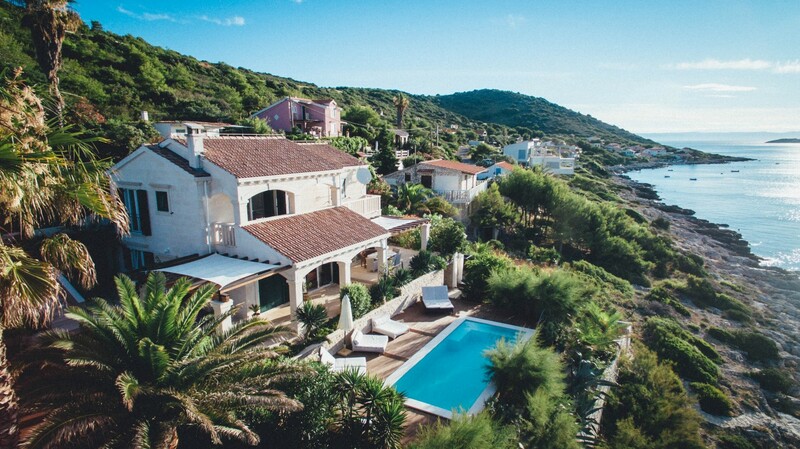 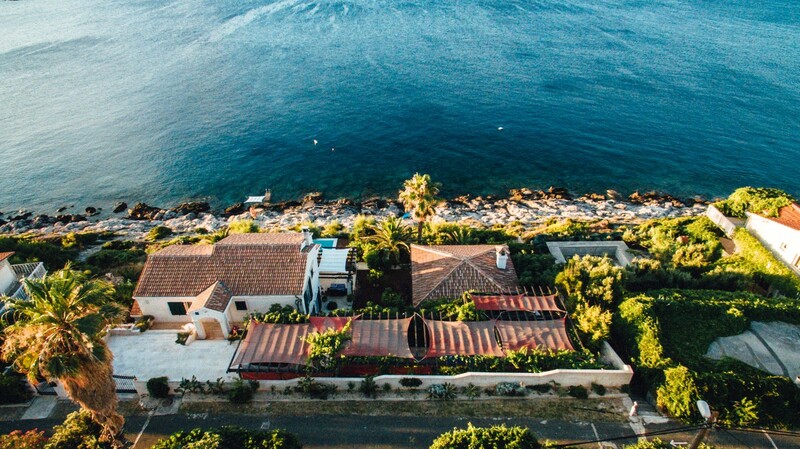 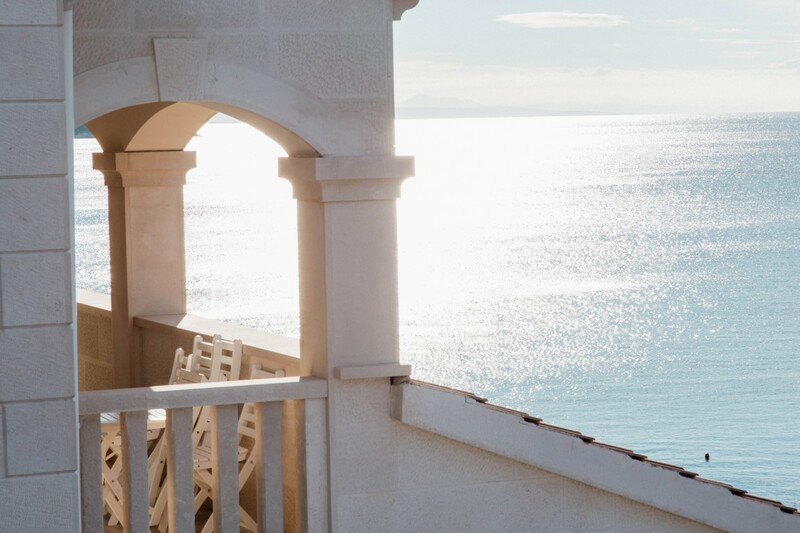 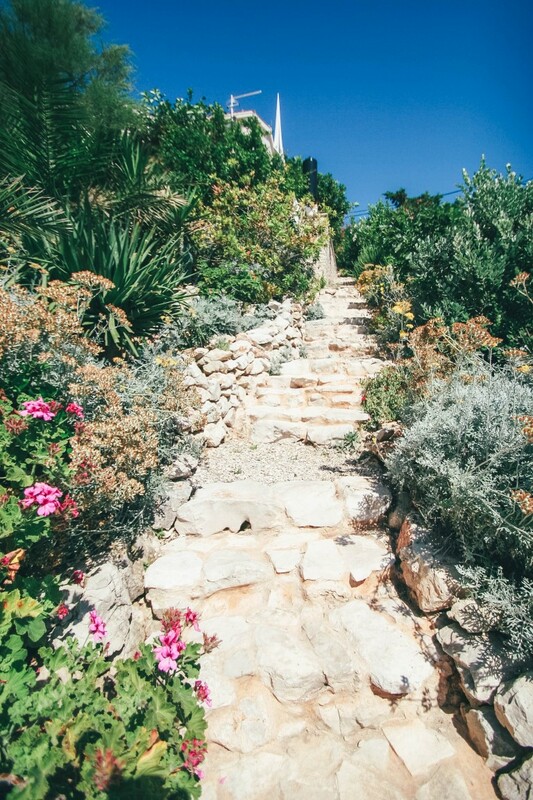 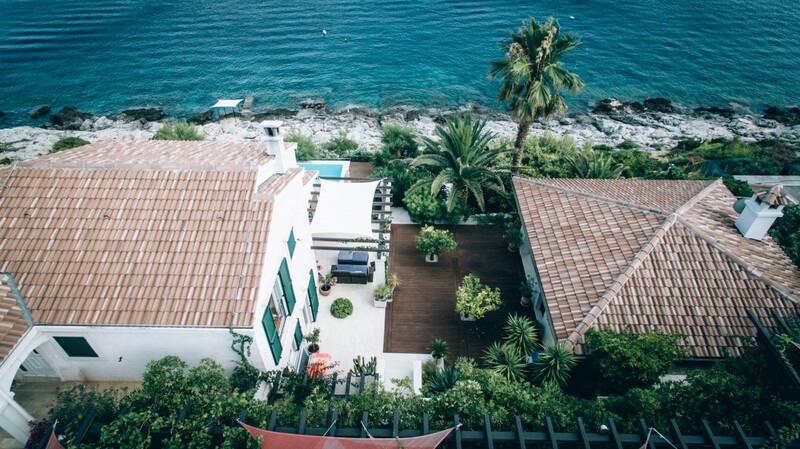 Surrounded by small islands on the sea side the Villa offers an 180° breathtaking view up to Italy. 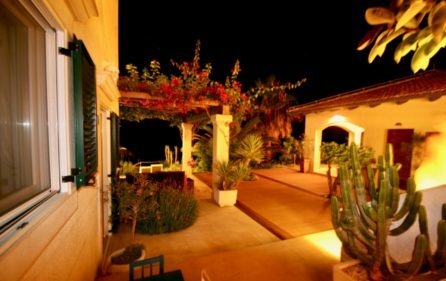 With a boat and within few minutes walk you can reach 4 different romantic sandy beaches with traditional restaurants or bars. The Villa benefits from its own private pool and pavilion for barbecue, which build an open air living room and atrium. 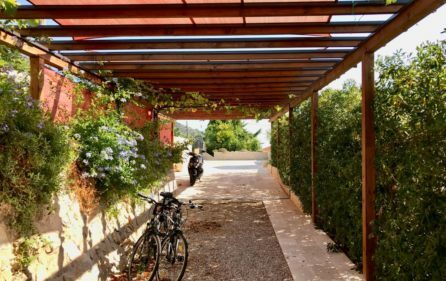 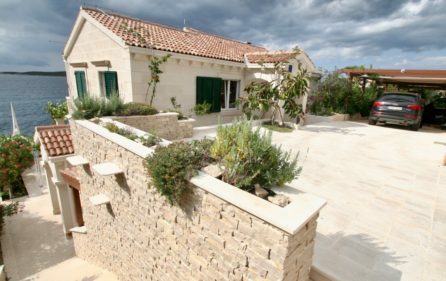 Together with the wall fenced Mediterranean Garden it is ideal for families with children and people who surge quietness and intimacy. 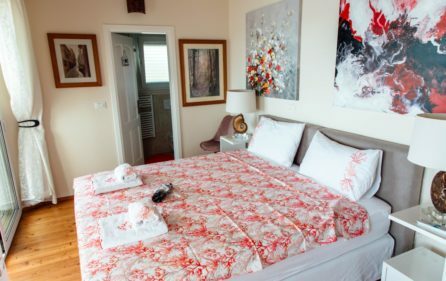 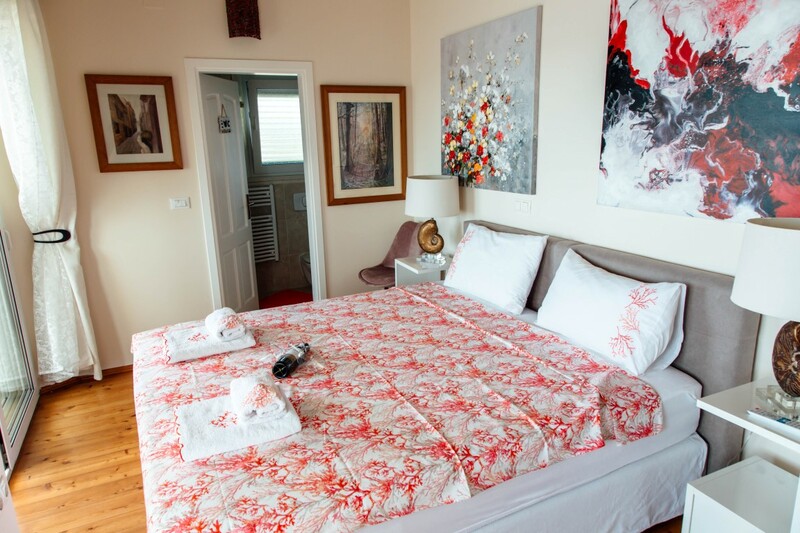 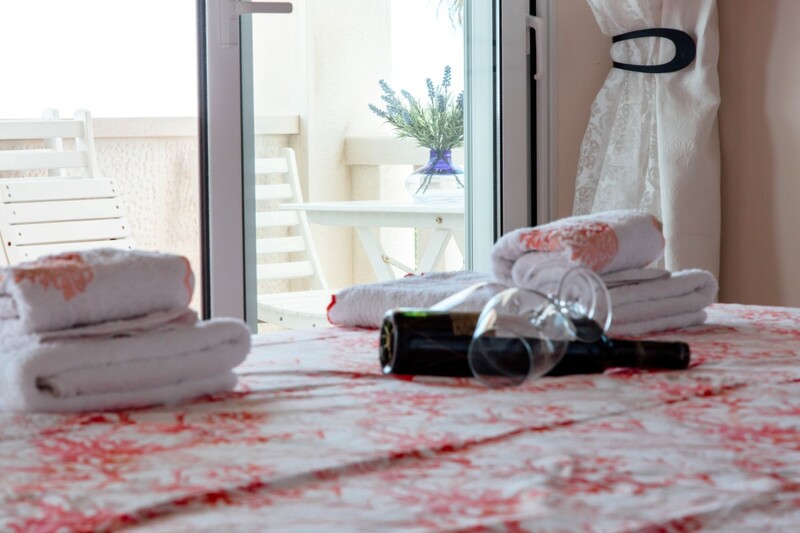 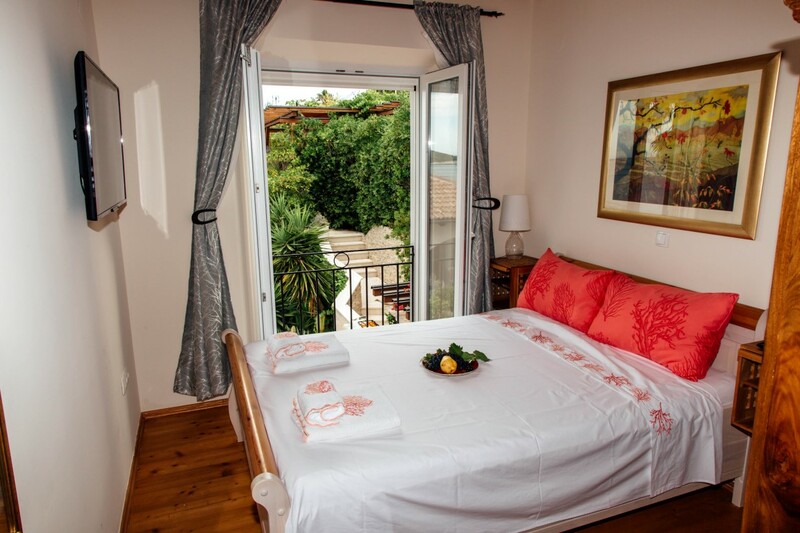 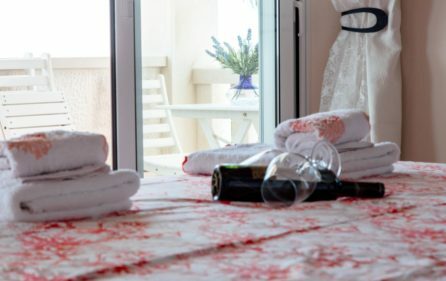 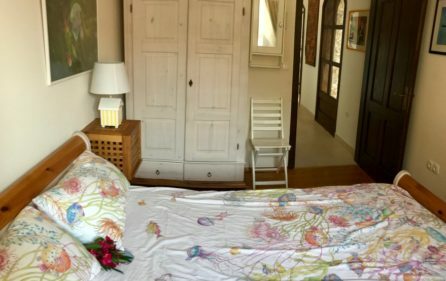 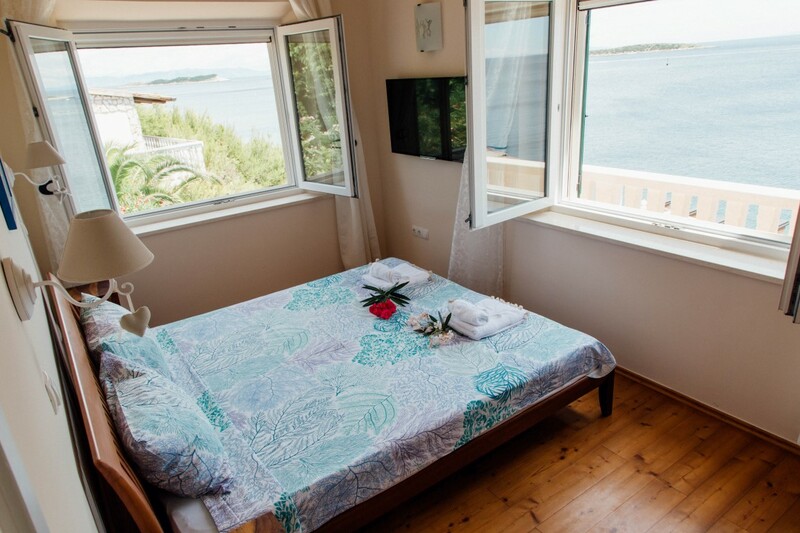 With 4 double and 1 twin bedroom and corresponding bathrooms it is an perfect base to explore the wonders of the coast and the small islands closed by. 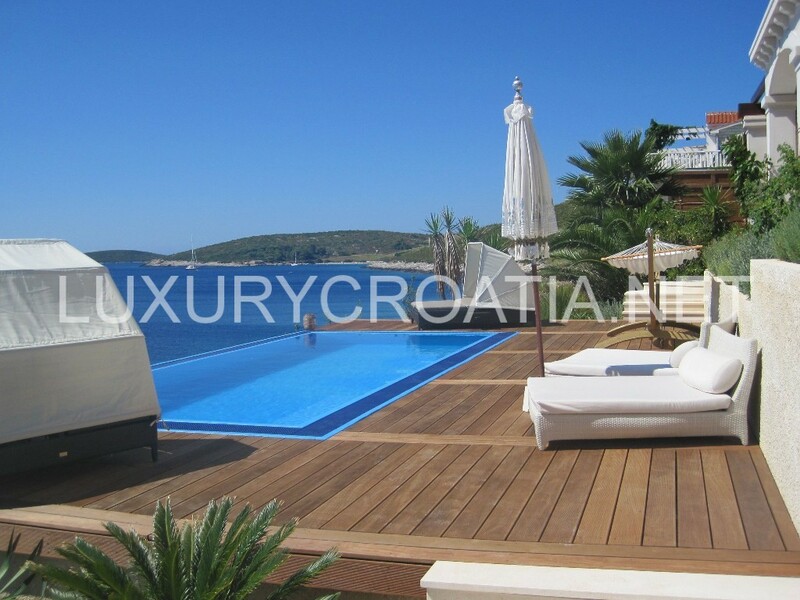 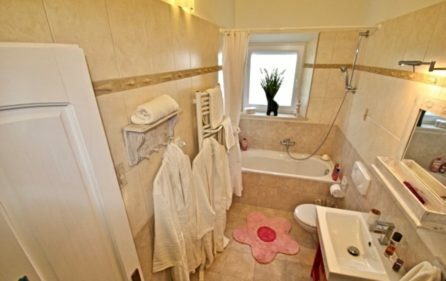 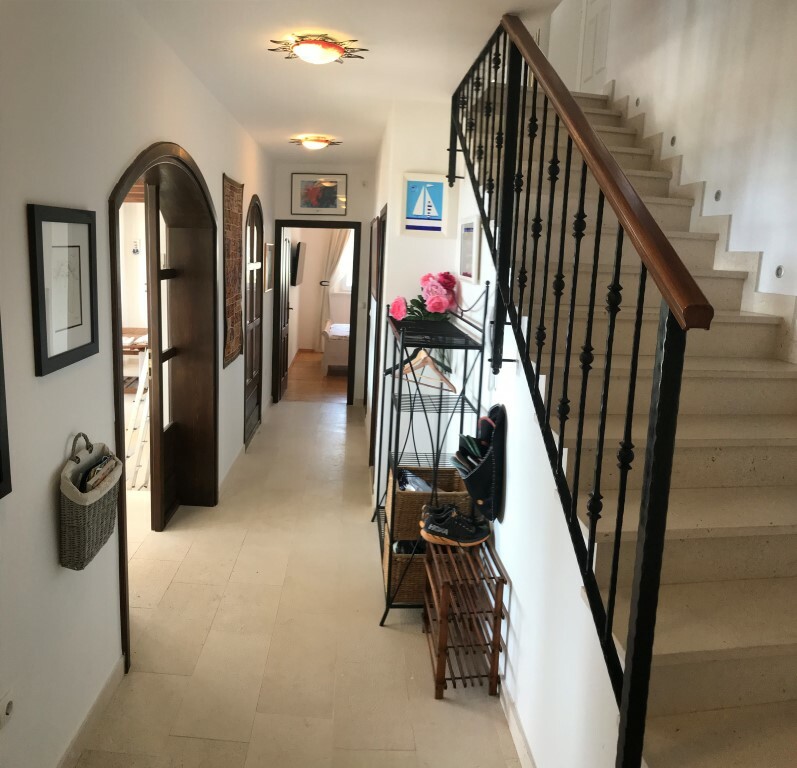 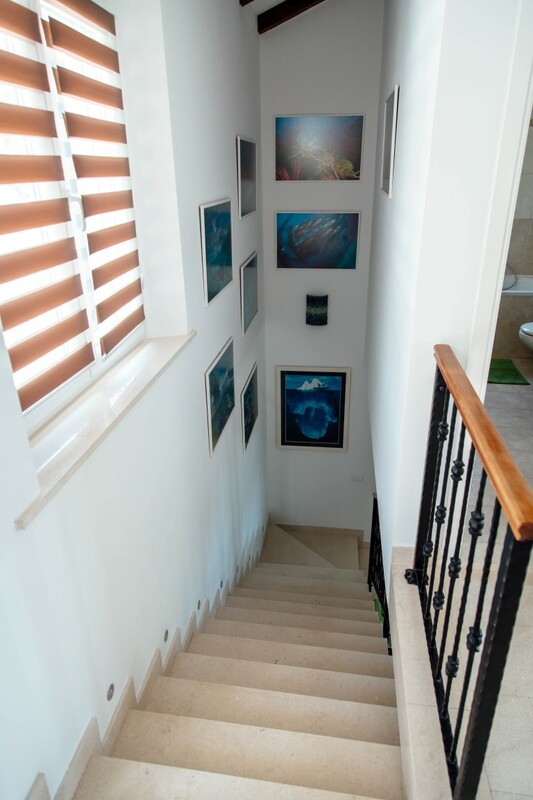 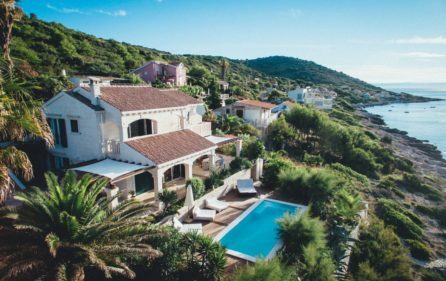 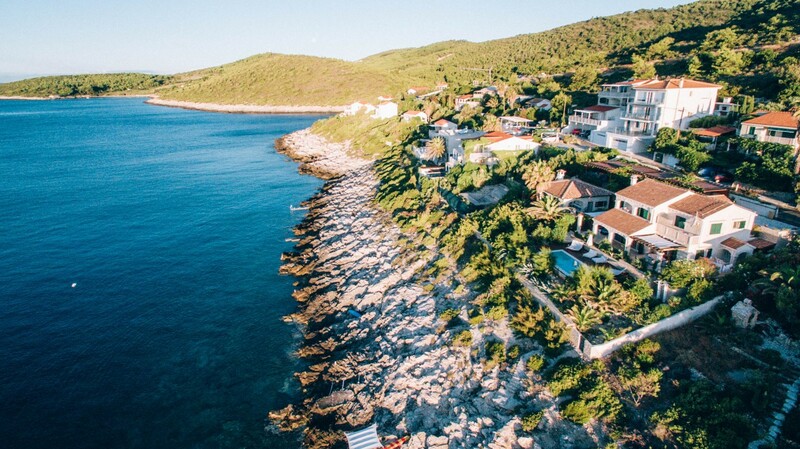 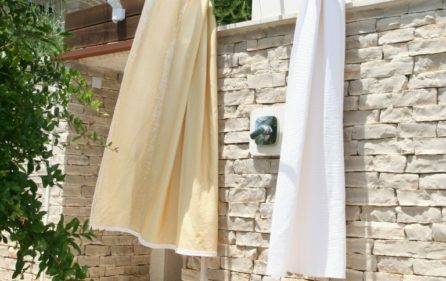 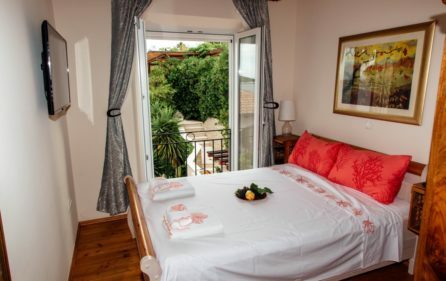 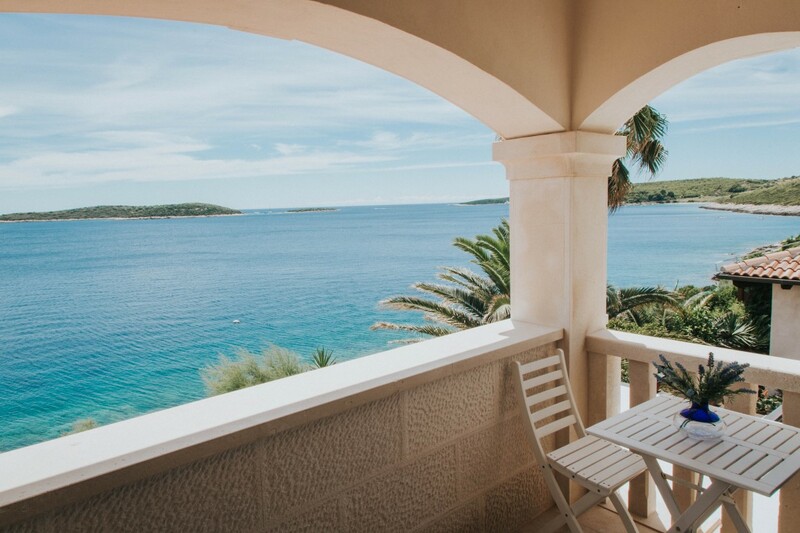 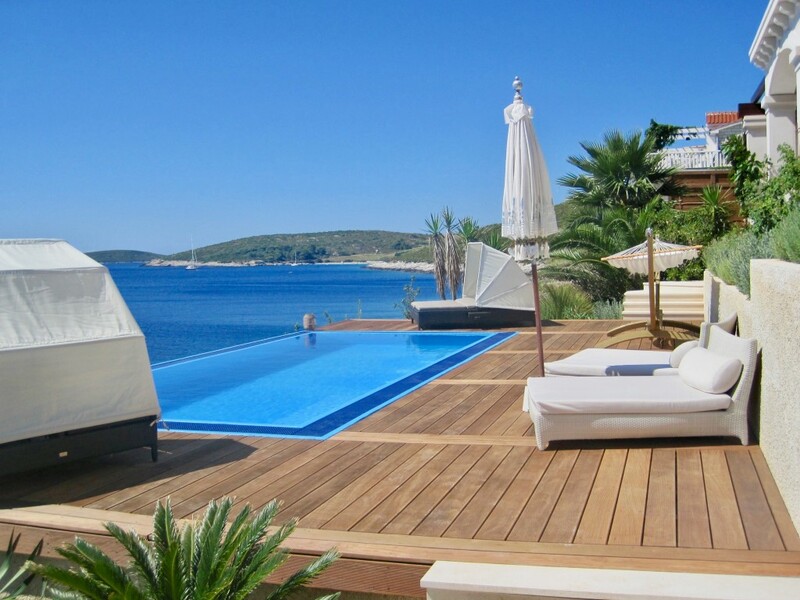 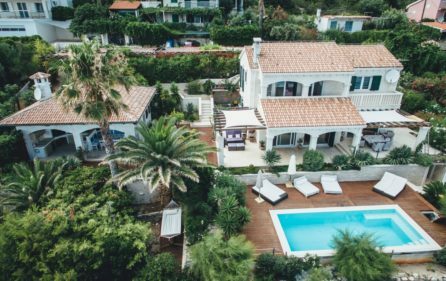 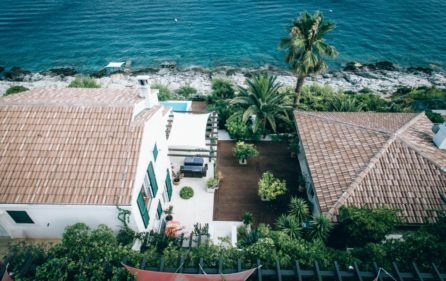 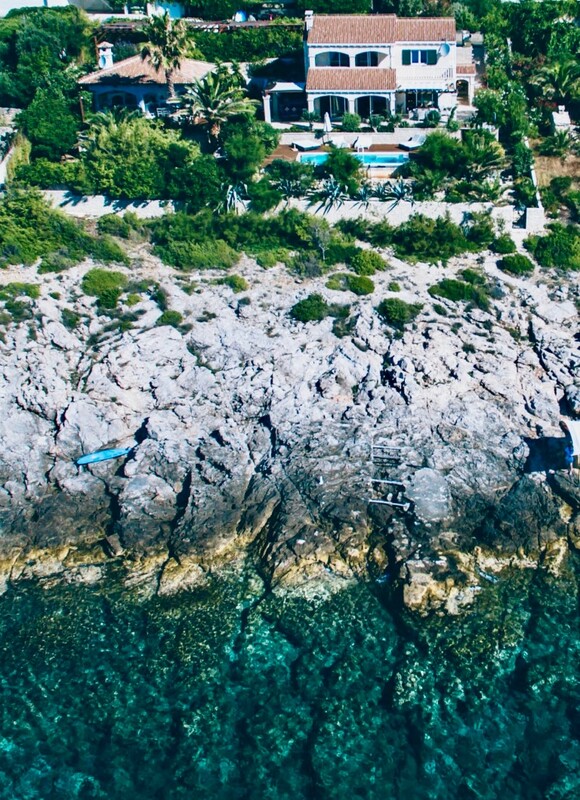 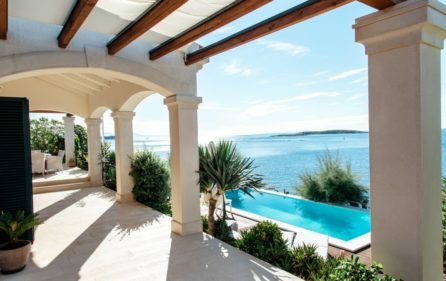 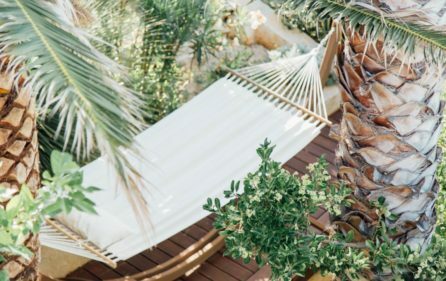 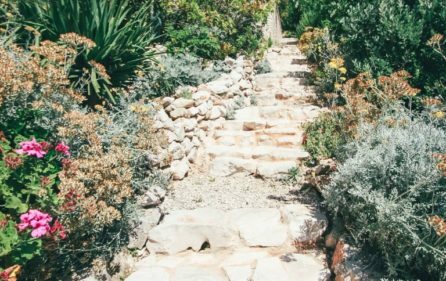 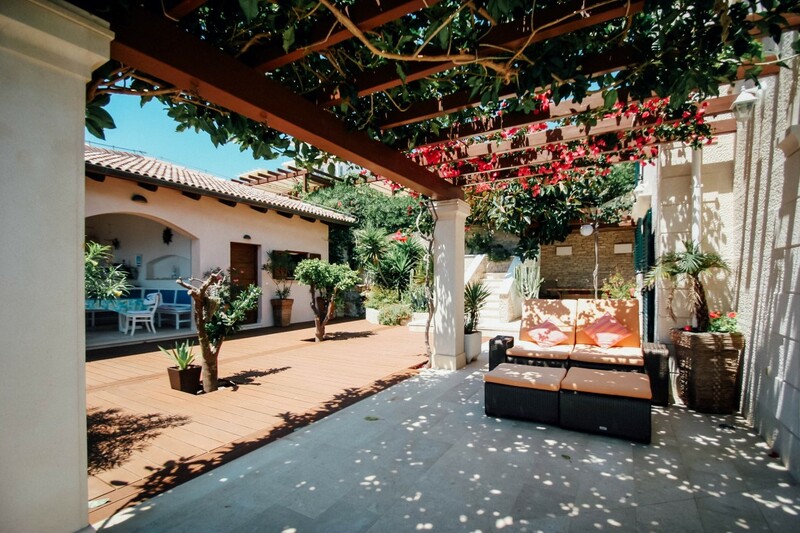 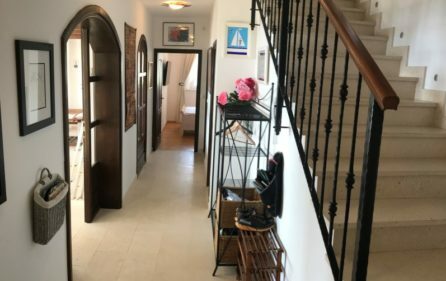 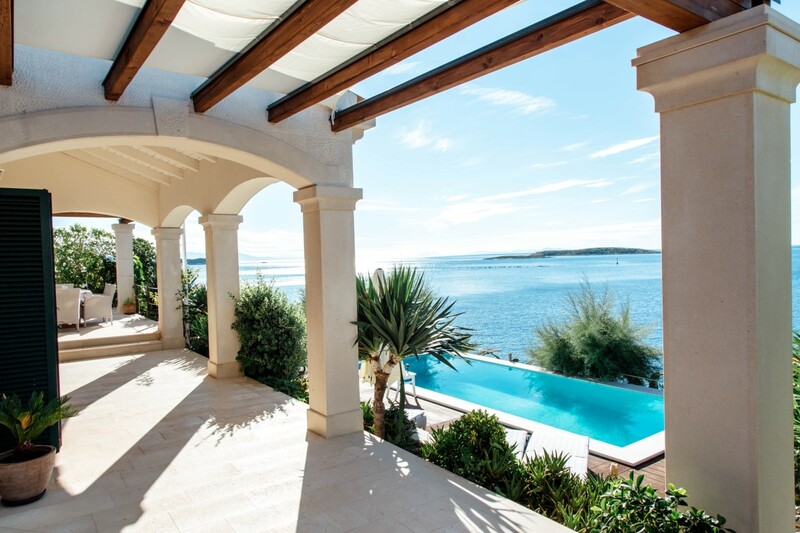 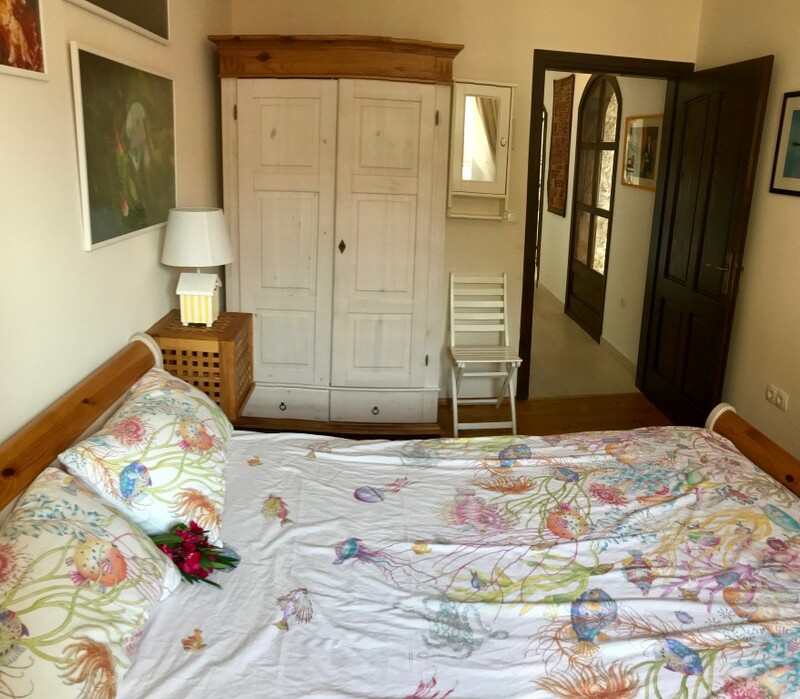 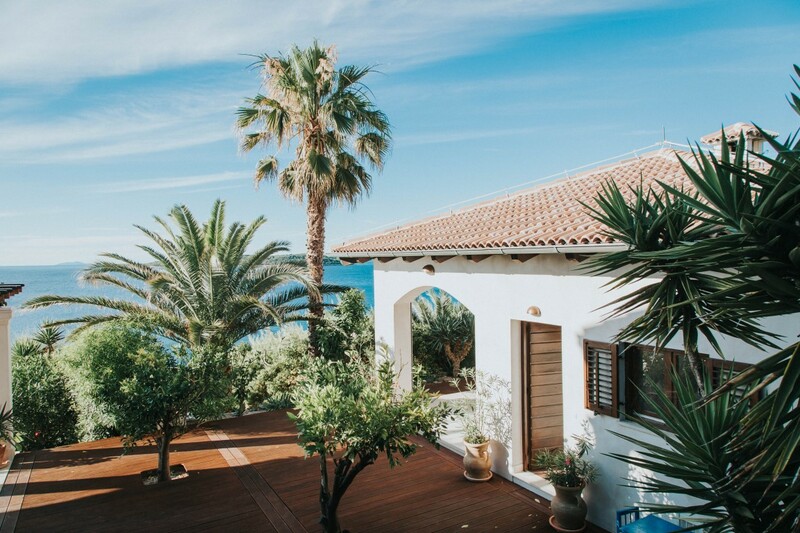 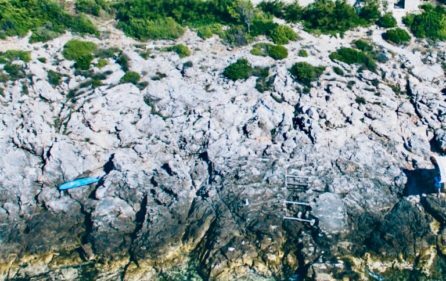 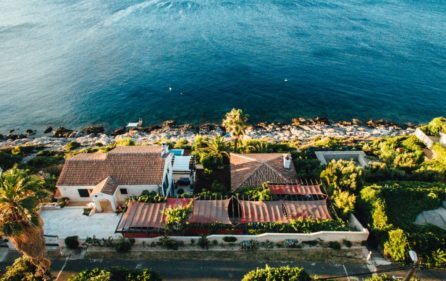 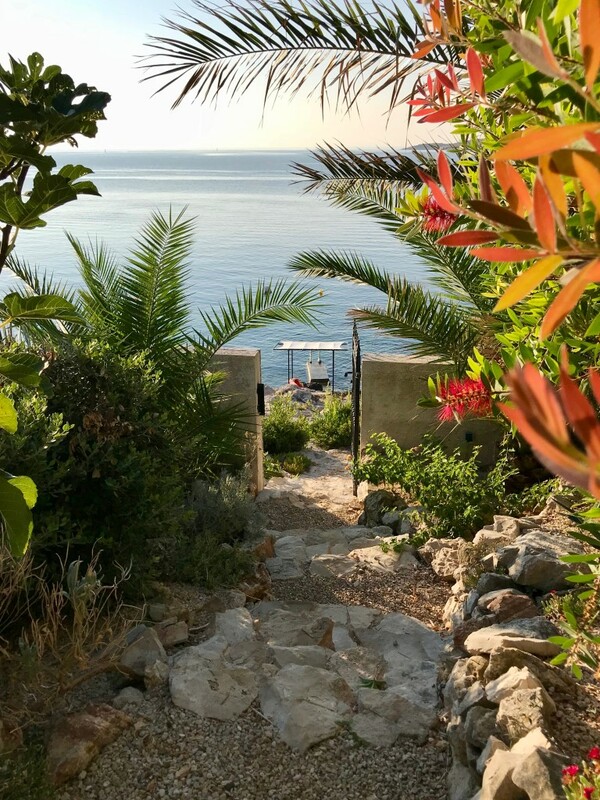 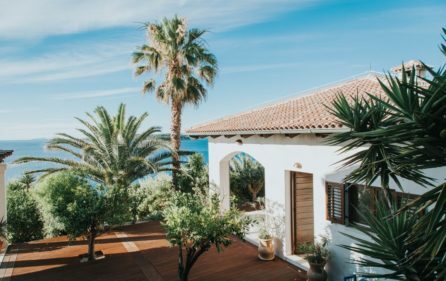 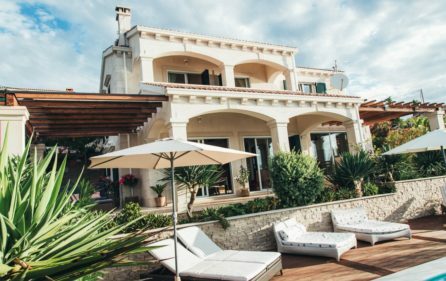 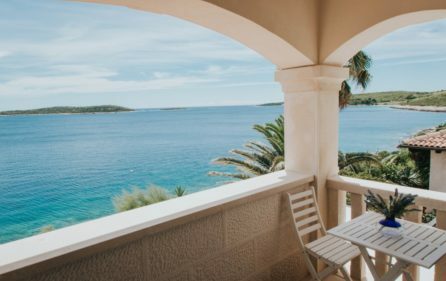 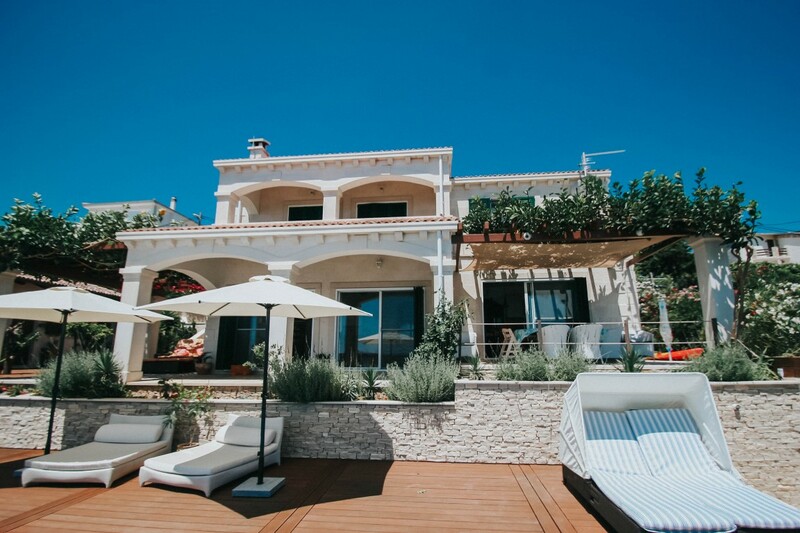 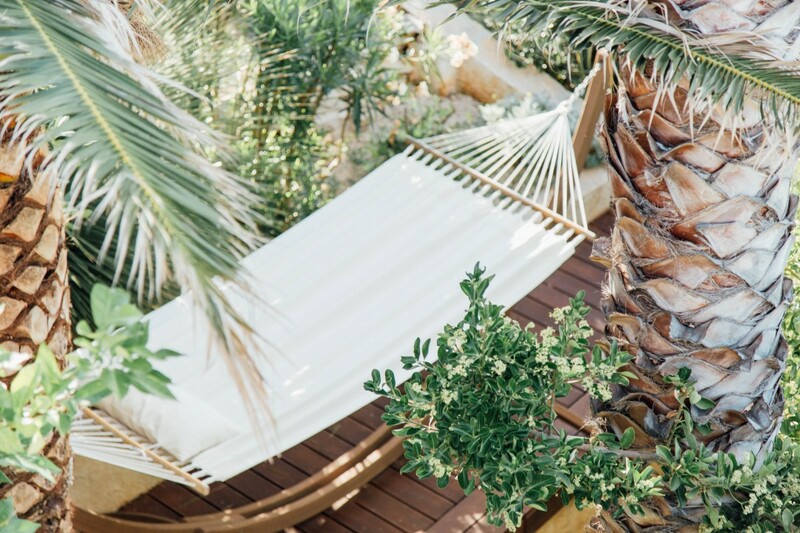 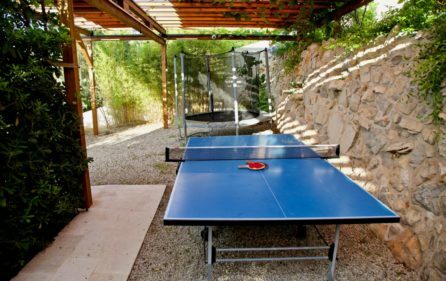 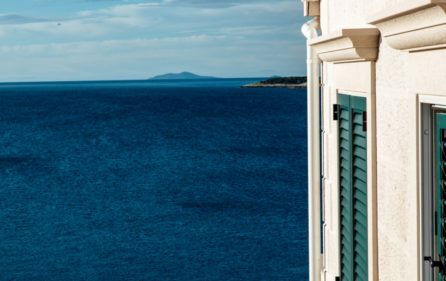 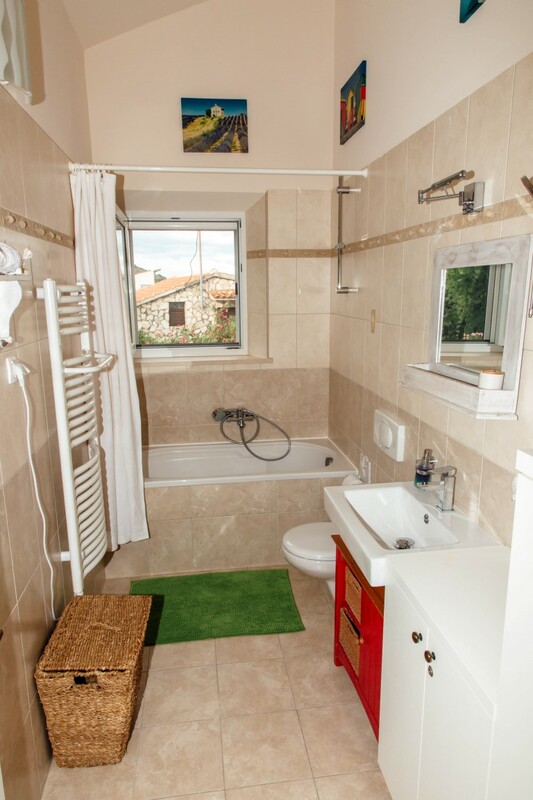 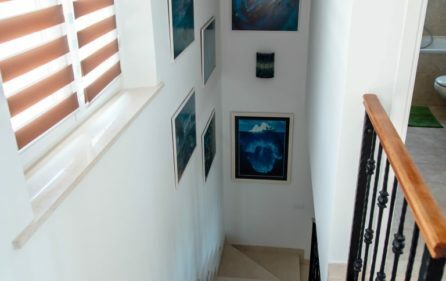 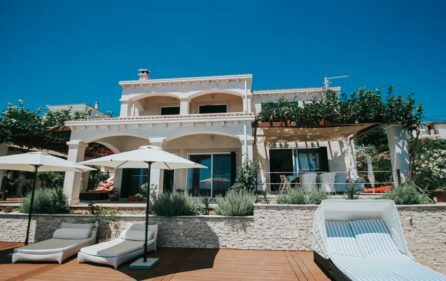 Villa is located on the south side of the Dalmatian coast, on the island of Vis in a bay area called Milna, 9 kilometers apart from the town of Vis. 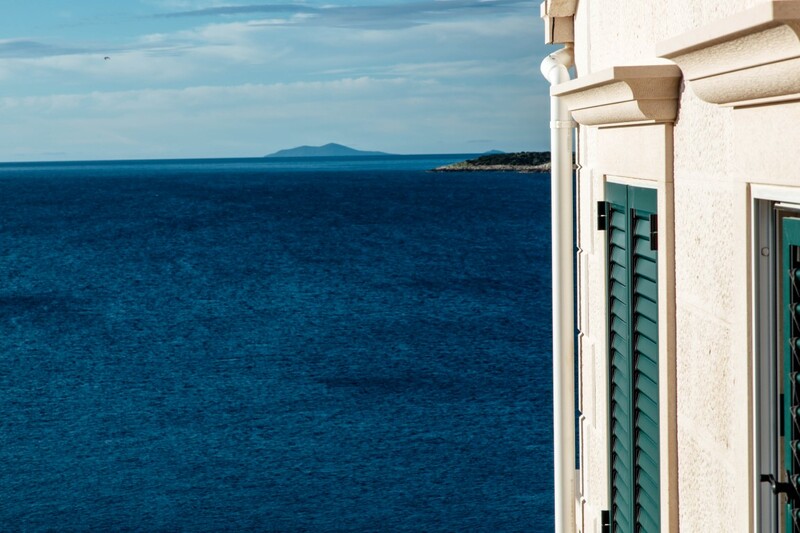 Vis is about 35 miles away from Split and closed to the island Hvar. 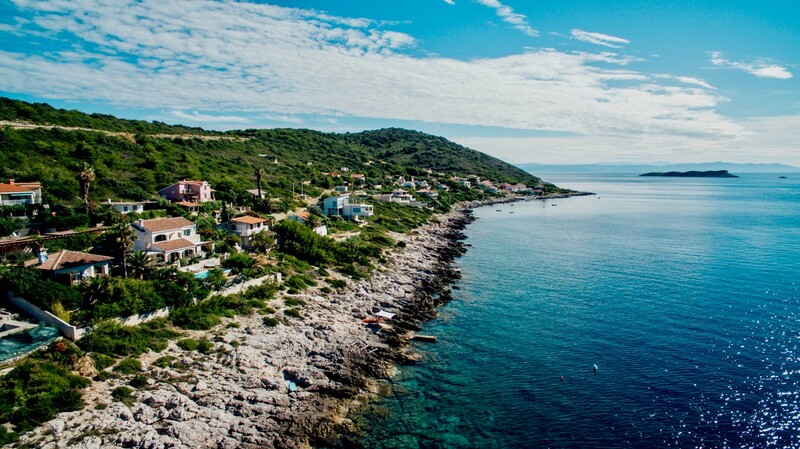 Vis is a very green island with long lasting history, which reaches back to the Romans. 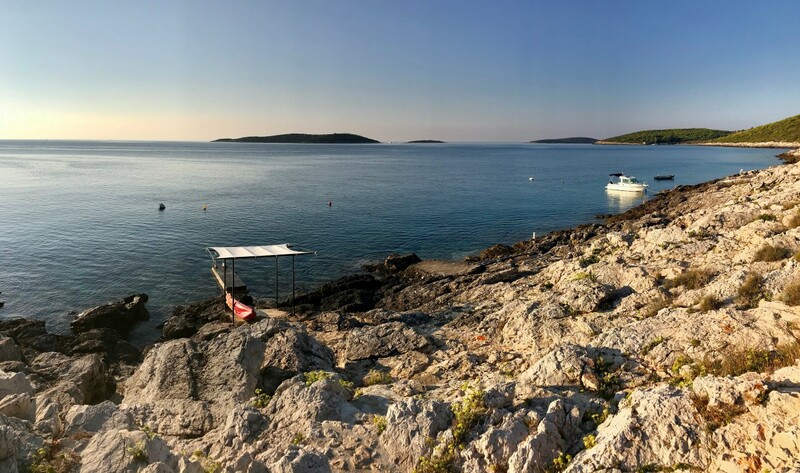 It covers about 5 sq km, is easy accessible by a ferry and is somehow a jewel under the islands, because it has maintained its authenticity close to the hype of modern tourism. 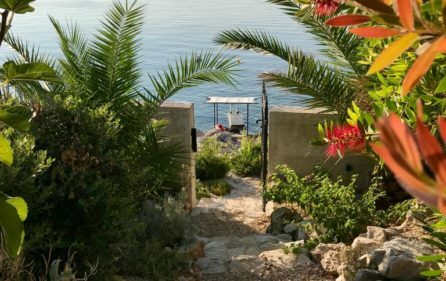 Up to the early 1990 tourism was not allowed on this island. 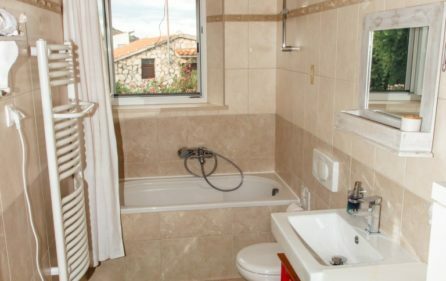 More than 3000 people are living here in 2 small cities and several small villages. 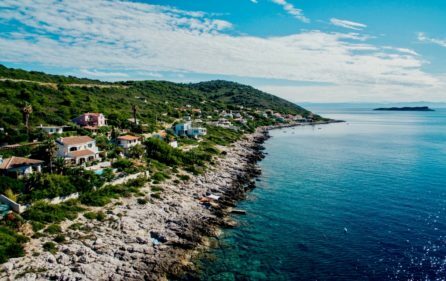 During the high season additional 4000 people are enjoying the mild climate of this island within the Adriatic Sea, half way between Croatia and Italy. 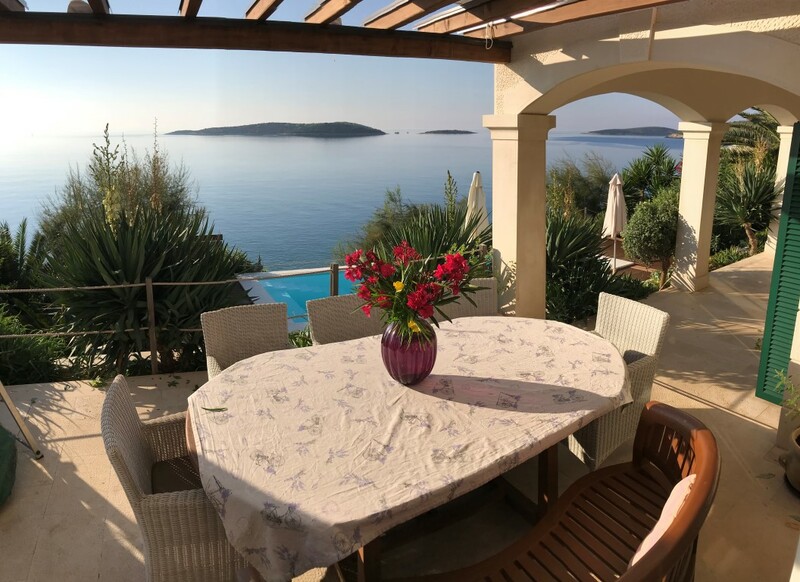 Several authentic villages with typical Croatian cuisine served in local konobas“ (traditional restaurants) are within short distance to the Villa. Four romantic sandy beaches are very close by and within walking distance (between 10 and 20 minutes Milna and Zaglav Bay). 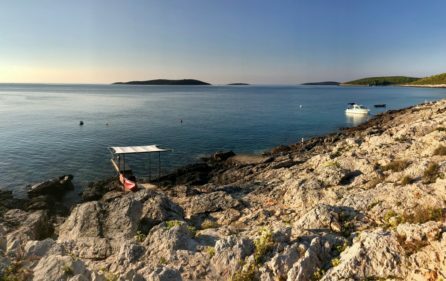 With a boat you can reach these beautiful beaches within 2 minutes. 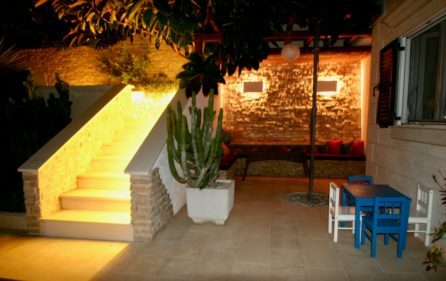 Stoncica Bay, also nearby, has a scenic sand beach and a relaxing restaurant. 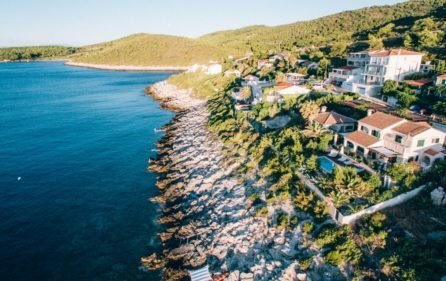 Next to this villa you will find Rukavac, a fishing village with a fine fish restaurant, and Srebrna Bay, with a white pebble beach. 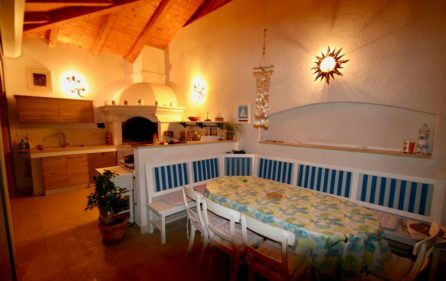 In the countryside not far, there are a few beautiful restaurants for home-made dishes, which serve for example traditional meet dishes – called “peka” (“peka” is a traditional way of preparing meal in a round pan with a metal lid and covered with ember and ashes) and off course, all kinds of delicious fish menus. 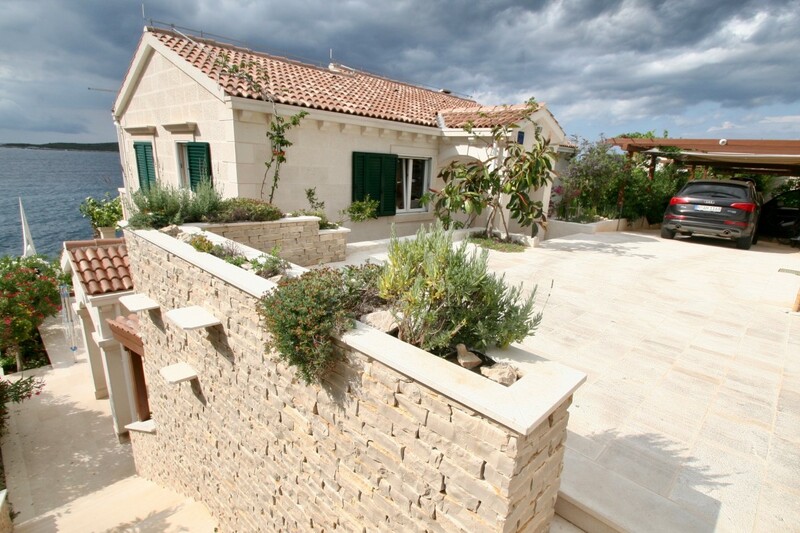 You can shop at the daily fruit, vegetables, meat and fish markets in the port of Vis, 9 km away and in Komiza. A local baker delivers daily fresh bread as well as fresh fruits and vegetables twice a week.